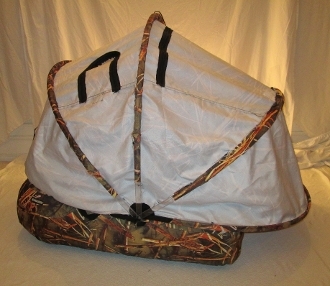 White Muskrat Hut Duck Blind reverses to camo. Canopy is reversible. Camo tube cover is not reversible.